Tie them tight for a brand-new look, or get a refresh on some established freshness. 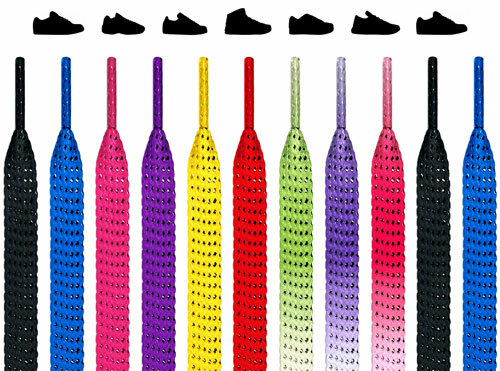 Flat sneaker shoelaces are used by streetwear's biggest players to change up kicks on the fly, for unique customizations tailored for the moment. You got Air Jordans, Adidas, Air Max, Converse? Doesn't matter, because these futuristic but classic, clean but down for dirty flat shoelace sneakers never let you down, and always bring shoes up. - Ideal for sneakers, but work well for most shoes. - Made of polyester, woven in a strong pattern for high durability. - Durability: 9/10 — made of high-quality threading to ensure a long lifetime. Create custom looks with your own personal color scheme(s). Order with swagger knowing the width is standard so they can fit through most sneaker holes (eyelets). 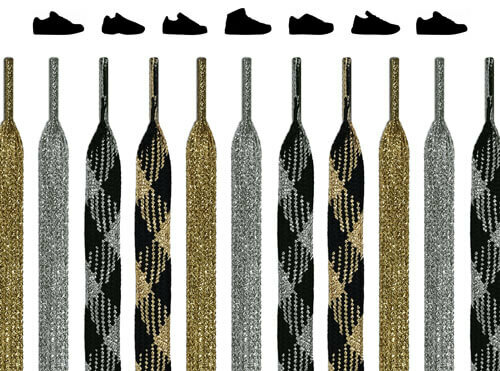 Listen, we're not trying to assume why you're looking at these laces. The back of one of my closets is a wall of laces. Devin in accounting wears shoelaces as bracelets. Some people who exclusively wear flip-flops just buy to experience that new-lace smell. 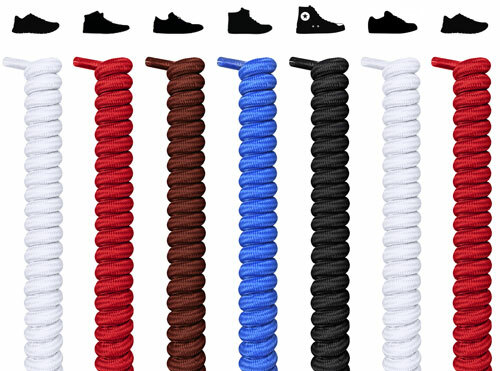 Putting all that aside, just know that, if they are replacement flat sneaker shoelaces, they'll work perfectly. If you take pride in your shoes, take pride in your laces. A new pair just adds a crispness the shoelaces that came with it just lack. 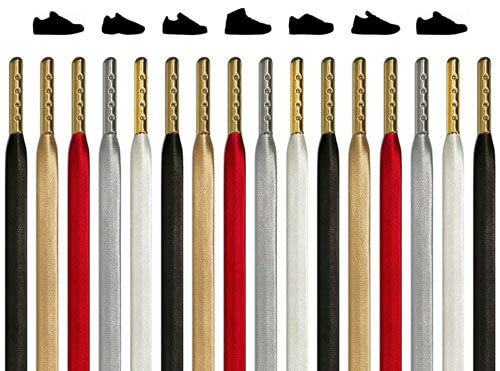 And with the classic design of the flat shoelaces, tailor-made for both modern and vintage sneakers alike, they'll look like they were made specifically for you. 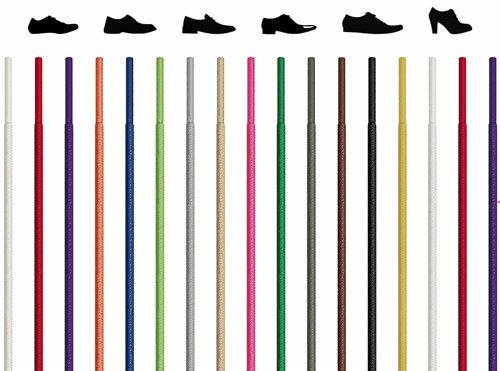 They're also a bit wider than regular flat shoelaces, so your feet won't look like everybody else's. 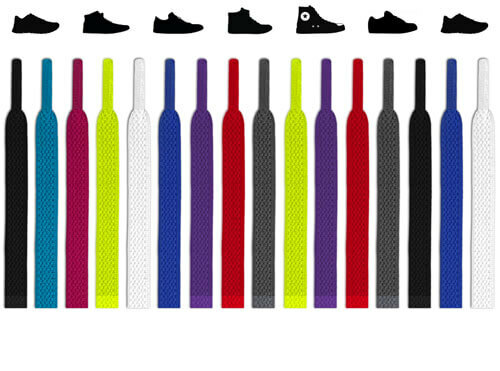 Basically, if you want a first-class pair of kicks, you need to make sure everything is first-rate, including your laces. 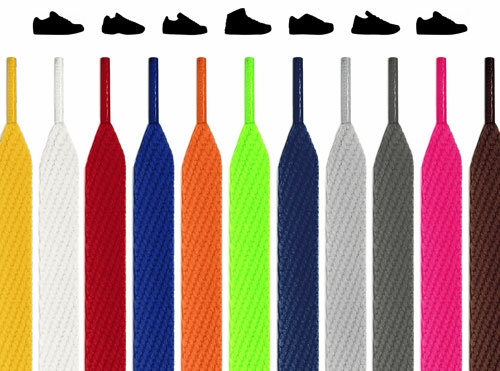 No joke, our flat sneaker shoelaces last forever. Literally. What else lasts forever? Diamonds, maybe. Some say love lasts forever, but here's a question: can you get a full refund on love without an expiration date? No. 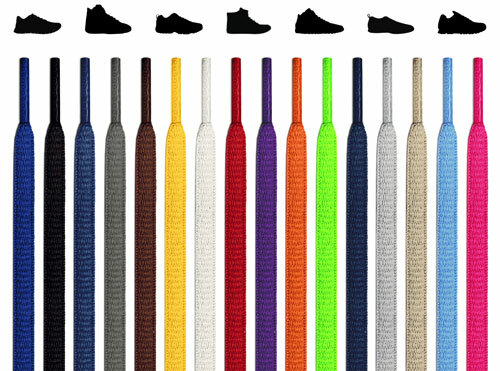 But you can with these laces, which means ten, twenty, thirty years from now, you can get your money back, that's how confident we are that they offer the best durability in the industry. Imagine you're about to leave, your whole self looking done up to perfection, and you're feeling good. No, forget that, you're feeling great. So what's the last thing you do before you hit the pavement? You lace up your sneaks. 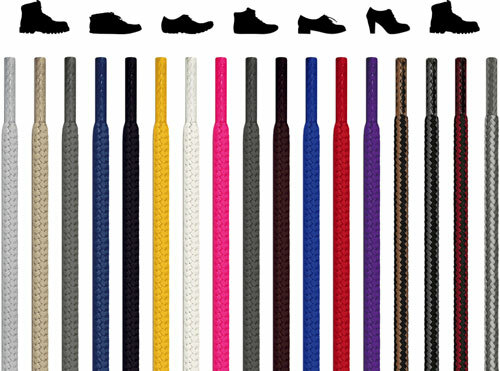 At FeetUnique, our laces are crafted to have high friction so they never come undone. They have 16% stretch for matchless comfort. They come in different lengths for that your tie-ups are always just the way you like it. 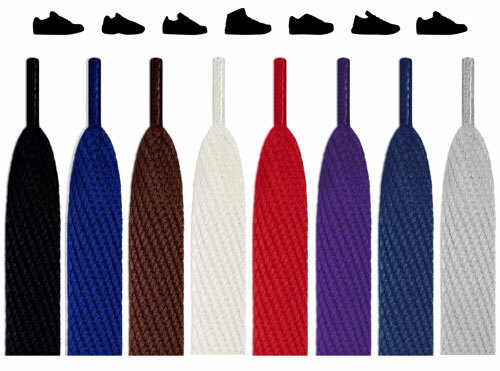 These aren't just laces, these are shoe sidekicks, and true sidekicks never let you down. Don't leave that last step before you take over the world up to chance. You'll end up paying less than $4, actually, but to make it easier, let's call it four. And we don't make you pay for shipping. That doesn't mean some sort of free shipping subscription that some call "Prime," or free shipping if you buy a certain amount, or whatever type of nonsense those other stores are on. 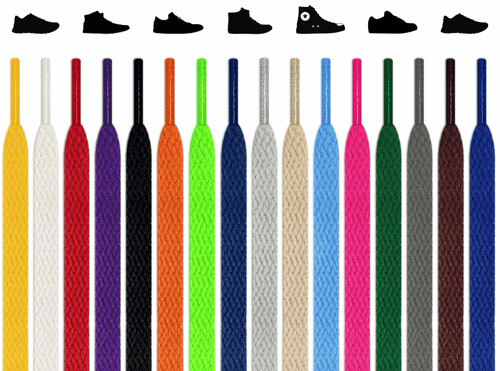 Get luxury-quality flat sneaker shoelaces at the best prices that never go out of style, or get frayed.